2016 Beeline Memory. Picture credits - Beeline. Submit more pictures. 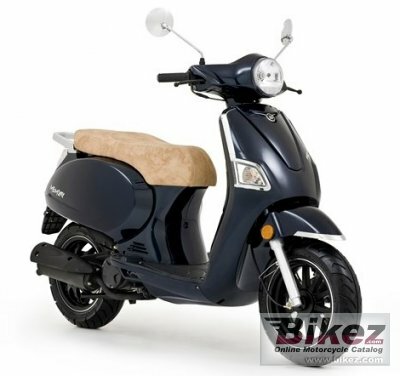 The full size retro style sets the Memory apart from other scooters produced today and offers unmatchable quality and value for money. Price as new (MSRP): Euro 1599. UK � 899. Prices depend on country, taxes, accessories, etc. Carrying capacity: Optionalrear rack or top box. Ask questions Join the 16 Beeline Memory discussion group or the general Beeline discussion group. Bikez has reestablished Bikez.info motorcycle web shop overview. Here we present the major online shopping possibilities for motorcycle parts, gear and accessories. This includes customizing and insurance. Search and compare products and prices. Try our 2016 Beeline Memory discussion forum if you have questions or comments. Information about any technical issue is always welcome.